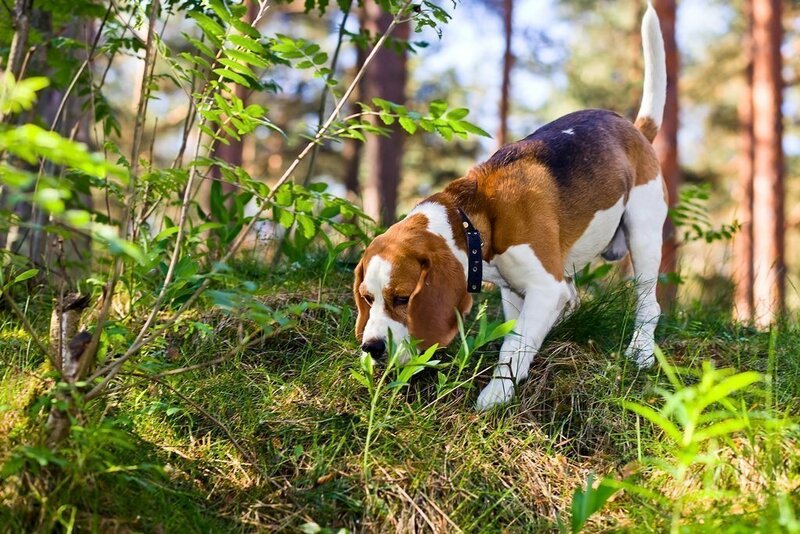 We can’t stress it enough – the bountiful Summer Truffle is the perfect training ground for truffle newbies, and the all-is-permitted zone for who already knows his way around Tubers. Its abundance implicates gentler prices than its winter cousins, while the earthy-yet-not-overpowering aroma means it can be paired fairly easily – so you can let the imagination run free when you have summer truffles in your kitchen. 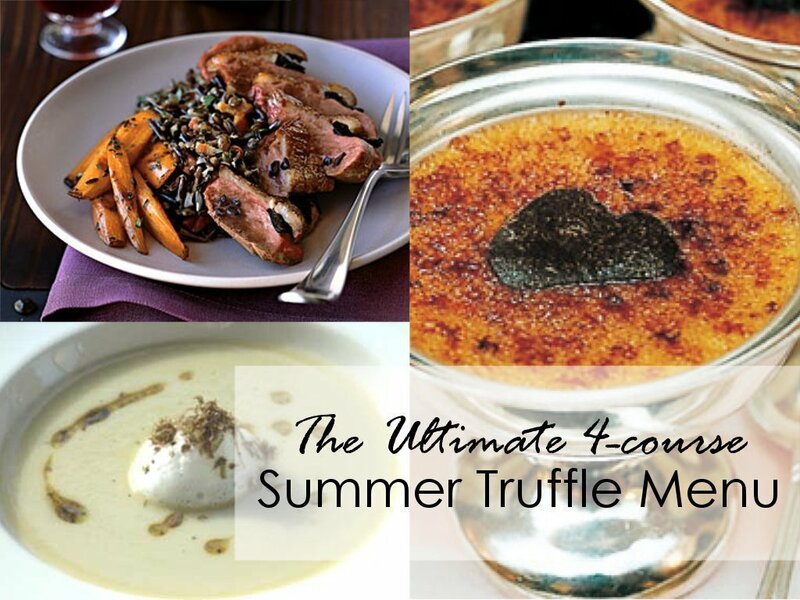 To give you an idea of their versatility, we searched through hundreds of recipes to create the perfect summer truffle menu. Start off with this beautiful Jerusalem Artichoke Soup with Black Summer Truffle, by Chaîne des Rôtisseurs. You can then go the Italian way and have a first starchy and comforting main course made of Pan-Seared Potato Gnocchi with Buerre Noisette, Black Summer Truffle and Provolone (by Joseph Hafner at James Beard Foundation), or keep it international and use the gnocchi to accompany the second meaty main course, this gorgeously juicy Roast Magret Duck Breasts with Shaved Black Truffles (Epicurious, photo: Pornchai Mittongtare). If you are short of time, use good quality ready-made gnocchi for your recipe. Provolone not in sight? Parmesan always do, but also a tender Caciotta cheese will work miracles here – just use a coarse grater. Sweet tooth? We’ve got that covered, too. As weird as it may sounds, here’s a Burnt Cream with Black Truffles you won’t regret giving a try (Saveur, photo: Christopher Hirsheimer). TIP. If you don’t have a blowtorch available don’t skip the burning part as it really adds another layer of flavour. Just sprinkle with sugar and place the custards under the oven grill for a couple of minutes, leaving the door slightly open and checking frequently. When melted and browned, remember allow the time for the sugar to set. 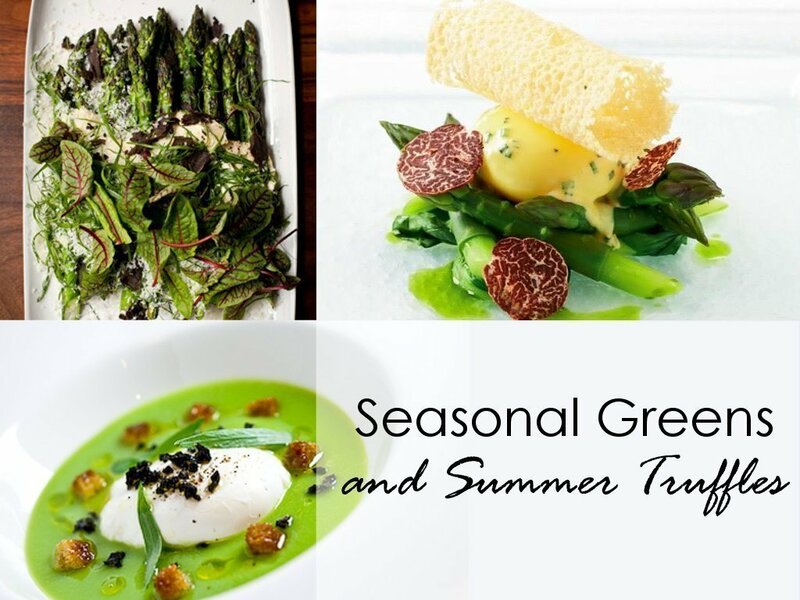 We hope you’ll like our menu – if you want to recreate it, you can find Summer Truffles, Black Winter Truffles, truffled Caciotta cheese and Truffoil in our online store! Have a look at our Top Truffle Christmas Recipe Ideas for some of he most creative ways how to use them. The prize draw starts at 12.00 UK time on Tuesday 16th December 2014 and ends at 11.59pm on the 20th December 2014..
One winner will be drawn at random from all valid entries. 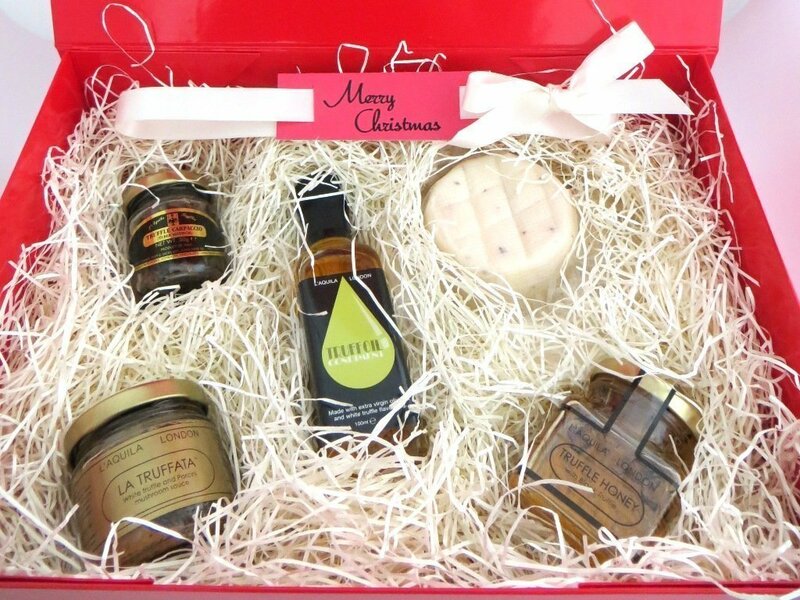 The prize is the listed bespoke Italian Truffle Hamper. The prize is non-negotiable, non-transferable, and there is no cash alternative. The draw will be made by random selection on the 20 December and the prize posted to the winner’s home address within 4 days. The selected winner will be notified by direct message on Twitter or Facebook if they have won. If a response is not received by the winner within 30 days they will forfeit their right to the prize. WTATruffles reserves the right at any time and from time to time without any liability whatsoever, to modify (including dates of the prize draw) or discontinue this prize draw, with or without prior notice to Users. Please note that any personal data provided by an Entrant will remain confidential to WTATruffles and will not be disclosed to any third party without the Entrant’s prior consent, except that WTATruffles reserves the right to publish the name and of the winner on their websites/blog. All personal data provided by an Entrant will be used by WTATruffles solely for the purposes of administering the competition and notifying the winner. The prize draw will be governed by English law and is subject to the exclusive jurisdiction of the English courts. WTATruffles reserves the right to remove offensive, obscene and immoral entries. The following are not eligible to participate: (i) employees and immediate family members of employees of WTATruffles, its subsidiaries, agents and advisors and (ii) any other persons assisting with this competition. The Promoter’s decision is final and binding and the winning entry must comply with these terms and conditions. No correspondence will be entered into.